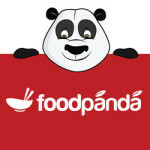 Foodpanda offers an online marketplace with widest the gastronomic range, including e.g. salads, pizza, pasta, burger and sushi. Choose your favourite meal on the platform or via the app; Foodpanda then processes the order to the restaurant which then in turn delivers it right to your doorstep.